I only discovered parsnips about four years ago. I put them in soup and was never sure, I liked them for themselves or as another veggie in chicken soup. Finally, one day, I roasted them with some other vegetables and found they are delicious. It was no big deal to put this together and enjoy it thoroughly. In a large, deep skillet, melt 2 tablespoons of the butter in the oil. Add potatoes and cook for another 6 minute. Add the broth and thyme and bring to a boil. Season with salt and pepper, cover and simmer over low heat until the parsnips and potatoes are tender, about 8 minutes. I know that parsnips are delicious, yet I never think of using them. 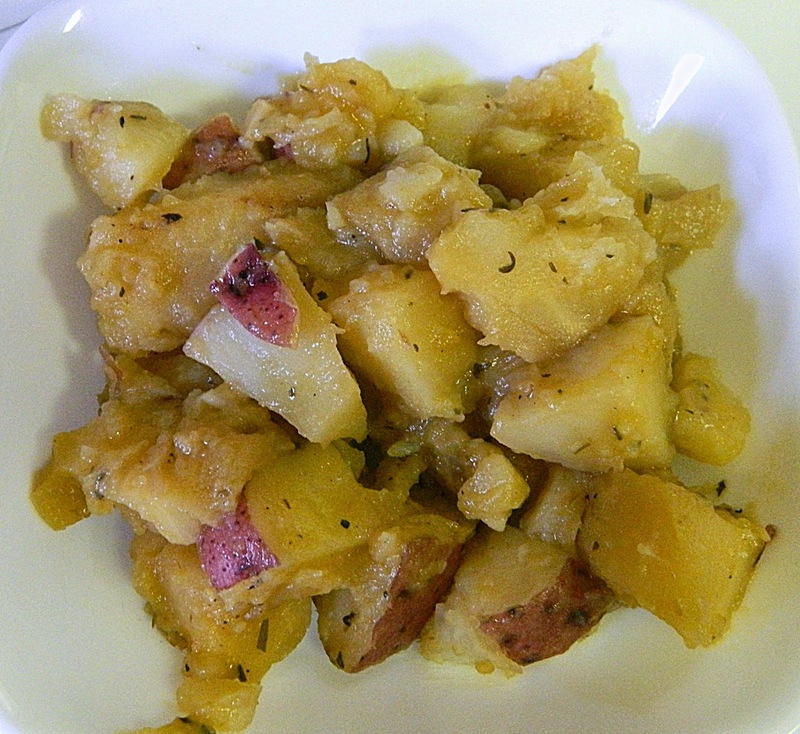 I love this simple combination and it cuts down the starch from the potatoes a little too. You don't have potatoes in your list of ingredients. Is there a particular potato that you use? thank you. I'm the same...new to parsnips but after having them roasted I'm a fan. Have not tried them with white potatoes. Made them with carrots and sweet potatoes. Looks good! My family love parsnips - they are one of our favourite vegetables. I like this idea of roasting them with the potatoes and onions, Chaya. It sounds delicious. Thank you for sharing this post with us at the Hearth and Soul hop.